Polaroid is back ... again. Fans of the iconic instant camera company can now pre-order its latest product: A camera that instantly posts photos to social networks. The $299 "Socialmatic" camera connects to the Internet via Wi-Fi or piggybacks on your mobile phone connection over Bluetooth. Polaroid's new camera runs Android, and it can instantly post photos to Instagram, Facebook (FB), Twitter (TWTR), Pinterest or any other social network that has an Android App on the Google (GOOGL) Play Store. In a sign of the times, the 14-megapixel camera has a 2-megapixel camera on the back for all your selfie needs. 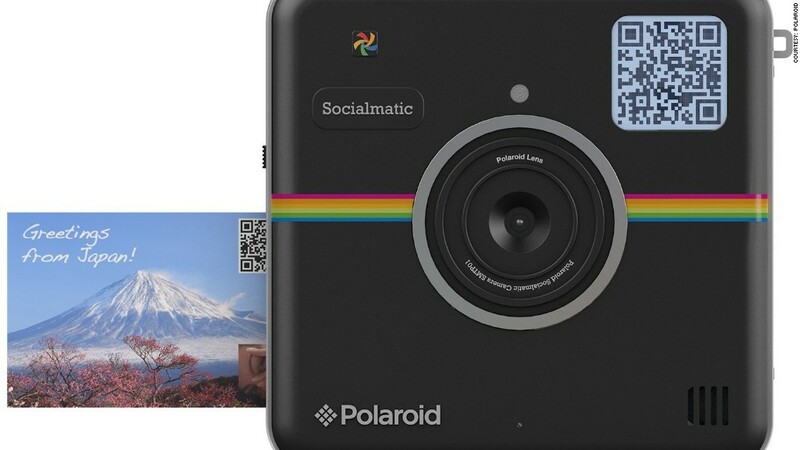 Polaroid's Socialmatic Instagram camera is now available for pre-sale for $299. And for the true Polaroid experience, the Socialmatic instantly prints two-inch by three-inch photos directly from the camera. The instant prints use a more modern technology than Polaroid's famous instant film (no shaking required). The camera can also include a 2-D "QR" barcode on the corner of the photos it prints so you can easily track them online. Polaroid's new camera will hit store shelves in January. The Socialmatic is just the latest of Polaroid's many attempts at a comeback. In September, it started selling a tiny HD cube-shaped video camera that covers roughly the same surface area as a quarter. 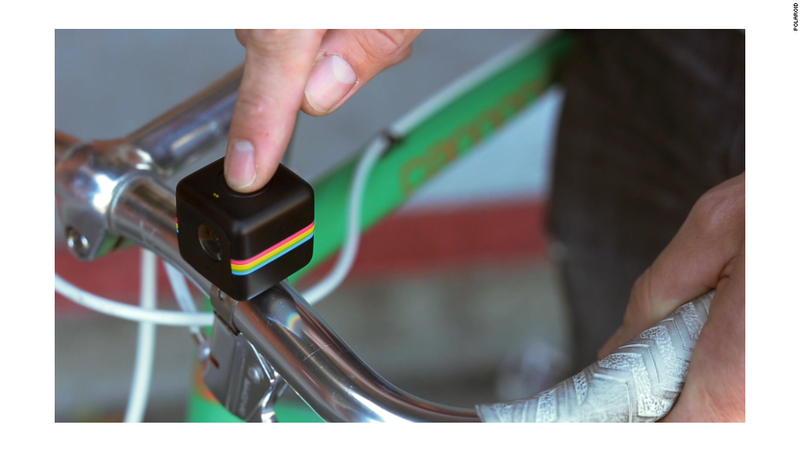 The Polaroid Cube is basically a super-cheap ($99) consumer-friendly GoPro (GPRO). Reviews have been very mixed. Polaroid went bankrupt in 2011 and effectively went out of business in 2007 when it stopped making cameras. The company was bought out of bankruptcy in 2010 by two venture capital firms that are aiming to revitalize the brand. Polaroid doesn't actually make anything anymore: It hired a white-label manufacturing company to build the products and slap the Polaroid name on it. In the past several years, Polaroid has brought several products to market, including cameras, printers, tablets and TVs. The company even named Lady Gaga as its creative director, and developed a line of co-branded products in 2010.